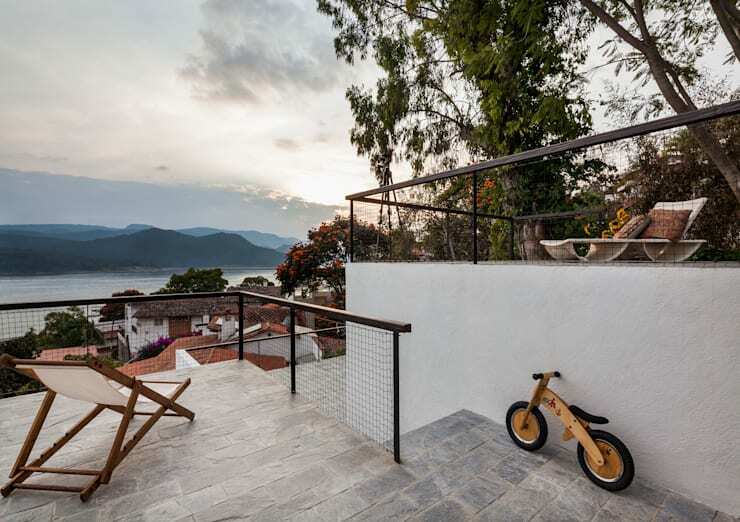 This complex of three semi-detached houses with four floors in Valle de Bravo is built along the local architectonic tradition and with local materials, facing south and wonderfully adapting to the terrain. 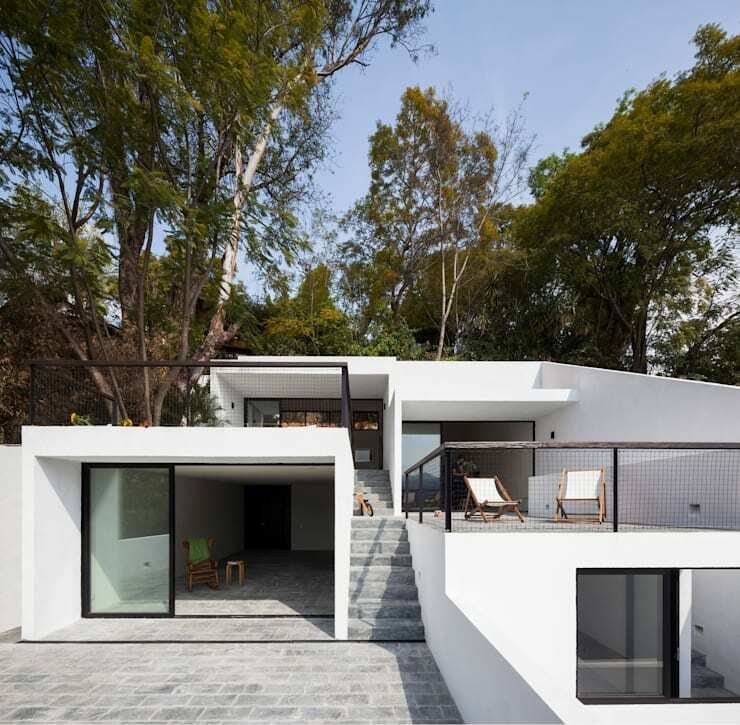 The movement through the house is, adapted to the inclination of the terrain, realized by stairways and half-floors which pause ascent and descent, form various routes and offer an architectonic ambulatory. 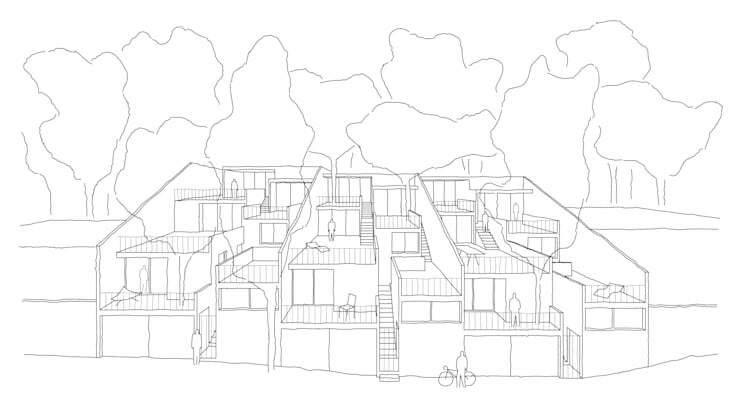 A system of terraces minimizes the need for excavation while at the same time maximizing the view over the lake in a functional and symbolic way. The majority of the trees on the land were conserved and only if they were in bad shape replaced by new trees. 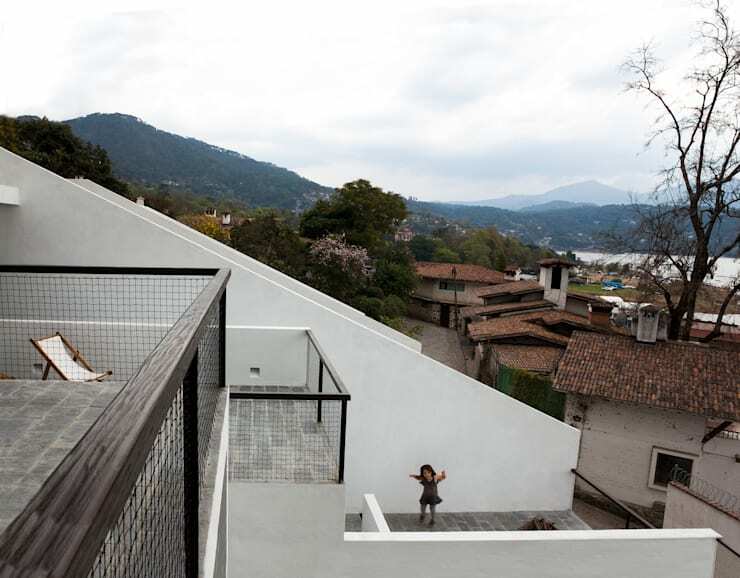 While Casas Mestre respects the landscape and reduces the use of material by opening up a spacious experience (white brick walls, slate floors inside and outside, aluminum works in black e-coating, inked Mexican fir) it also develops its own language through these spaces and its connections. 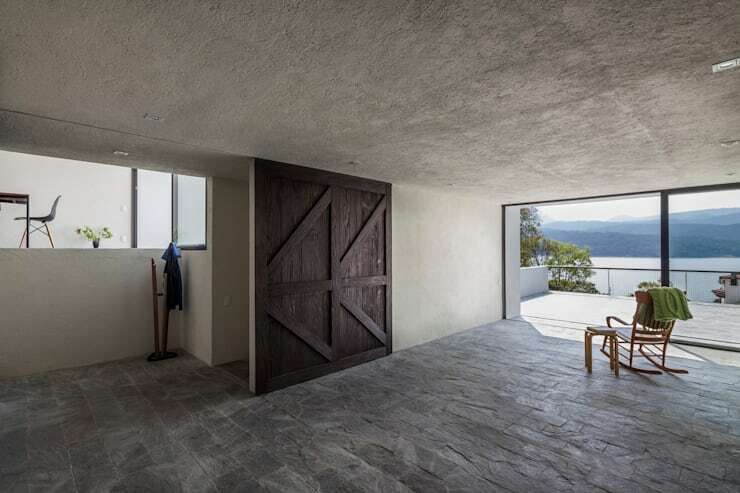 ["MX"] [Published] Esta casa minimalista en Valle de Bravo ¡te va a encantar! 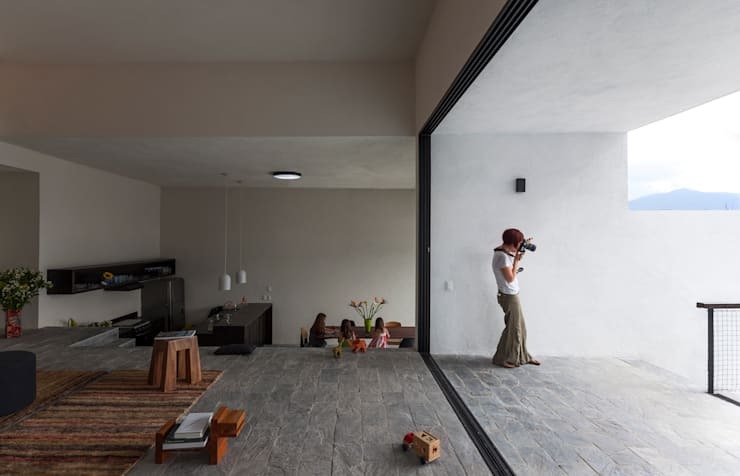 ["FR"] [Published] 5 Maisons Modernes et leurs Surprenants Jardins !